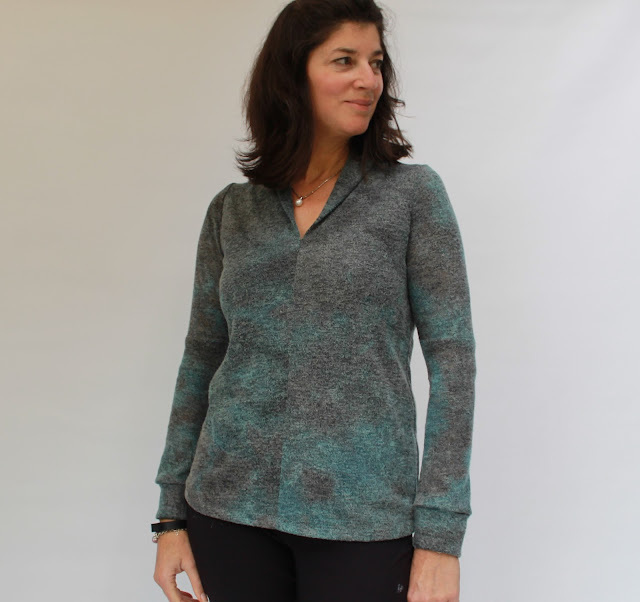 I was recently asked to try out the Presto Popover top pattern by the hilarious and glamourous Coco. This pattern couldn't have come along at a better time. 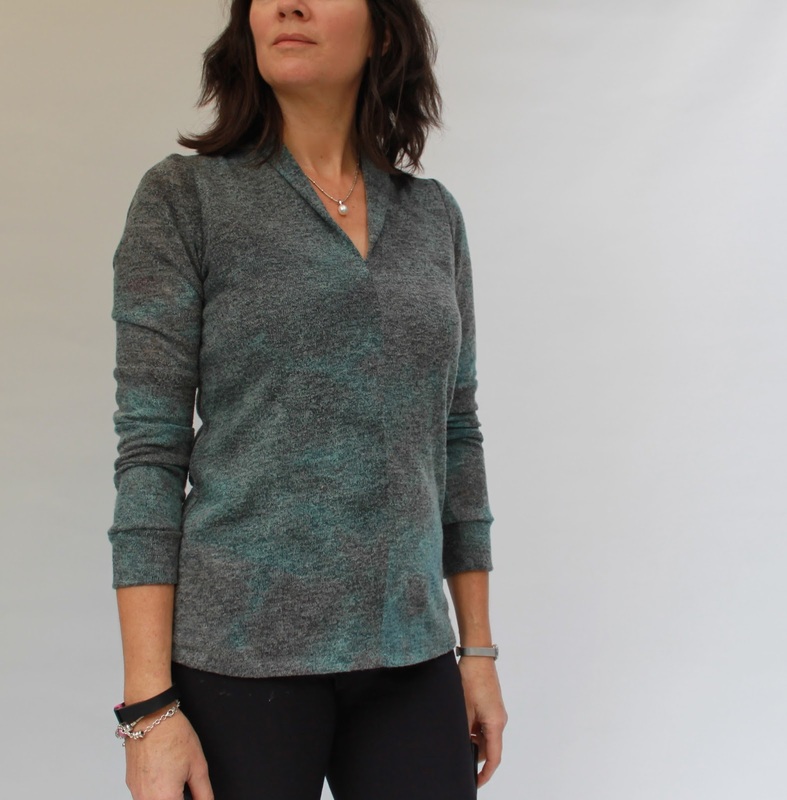 The top is perfect for wearing pretty much anywhere as it's comfortable, stylish and warm. My favourite feature of the pattern is the neckline, which is formed by folding two front pieces along a centre seam then twisting them around to form the back neckline. I had to read through the instructions a couple of times to get my head round that part, but once I tried it out it was easy. The rest of the top came together very quickly and easily. 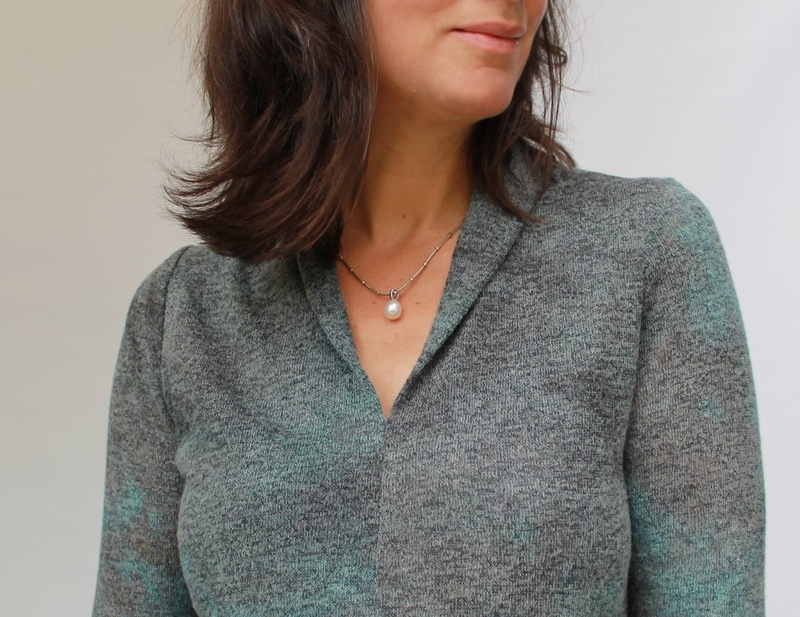 The neckline can be worn folded down (above) or lifted so it falls softly and feels like a tiny scarf (below). This Presto is made using acrylic knit fabric from Potter's Textiles. I am planning future versions in t-shirt fabric once the weather warms up. 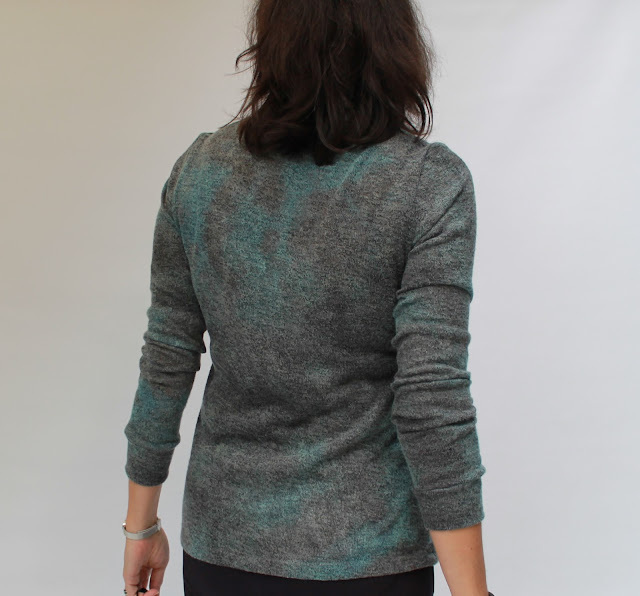 In this winter version I lengthened the sleeves from 3/4 to full length and added a cuff. I also lengthened the hemline by about 5cm, which I often do due to my height, and lowered the neckline by approximately 2cm. I made a size M and the fit is great, body skimming, but not too tight. This is such a cleverly worked out pattern. It makes a quick top that is definitely a notch above a plain t-shirt. The doubled front and single or double layer back make it a good option for sheer fabrics too. Check out Fadanista's lovely version with a matching cardi. That is a lovely top and I really like the fabric! 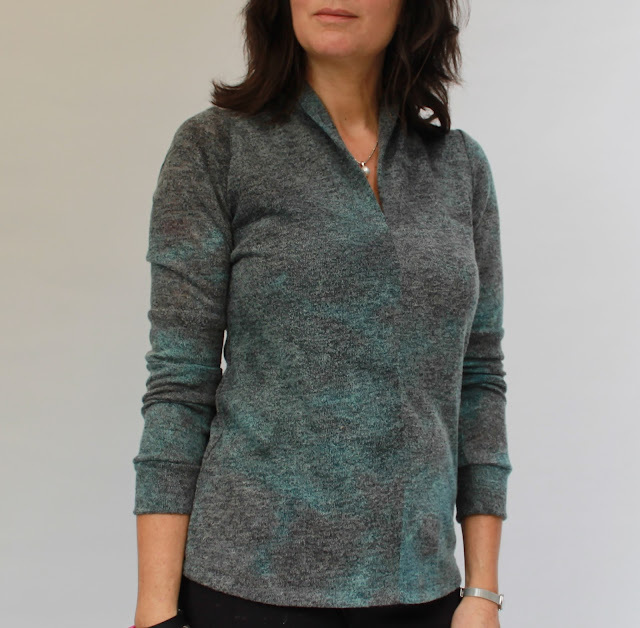 It would look great in some merino as well. Oh yes, merino would be lovely. This is a beautiful top. Love the changes you have made to the pattern. Looks great. But if you make another one a small sway back adjustment would perfect the fit. That is something I've wondered about but never tried. Thank you for the suggestion. I will definitely give it a go. Meg, your Presto! is super fab in a sweater knit. Those are gorgeous colors. Perfect for chilly days. You've inspired me - I just picked up a similar acrylic knit to make one for this fall! Wash & Wear, Baby! Thanks very much for the lovely review, I'm so glad you like the pattern.